These wine bags are available in either brown or white. 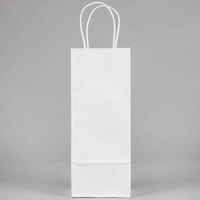 White bags have a crisp and clean appearance that’s ideal for use in wineries and upscale stores. 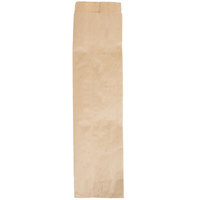 You can also find liquor bags that come with sturdy and reliable handles for your customers’ convenience. We even offer bags made from eco-friendly materials that are perfect for environmentally conscious establishments. Also make sure to check out other great items from Duro Bag and Elkay Plastics. These wine bags are built with durability in mind, so your customers don’t have to worry about bags bottoming out. 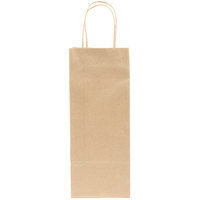 These bags are also ideal for packaging orders for customers who purchase more than one bottle at a time. Plus, you can purchase these bags in bulk to ensure that your business is always ready to accommodate customers. Stock up on disposable shot glasses to serve taste tests of newly stocked wine, liquor, or beer, and you’ll also want to offer them crackers. You may even want to use plastic grocery bags to package multiple, individually wrapped liquor bottles. 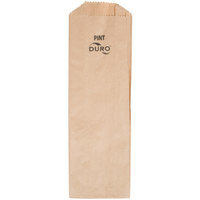 If you're wondering where to buy duro bag beer, liquor, and wine bags, we have a large selection of duro bag beer, liquor, and wine bags for sale at the lowest prices.